Moves are afoot to help cement the Sills and Betteridge Lincolnshire Football League as the county’s first rung of the ladder into the football pyramid. The Lincolnshire League has long been considered a stepping stone for clubs from the leagues across the county to start the journey up the FA structure. 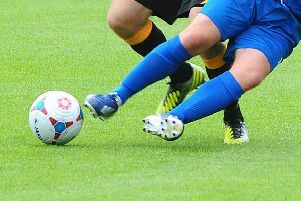 Now efforts are being made to consolidate that position by achieving Step 7 status, a move which has the backing of the Lincolnshire Football Association. Developing clubs across Lincolnshire are being invited to be part of the new set-up. A statement from the league reads: “County senior leagues across the country have for years been the focal point for aspiring clubs wishing to join the football pyramid system, because of the size of Lincolnshire, this has been difficult but with support from the county FA, Step 7 status for the Lincolnshire League can become a reality. We want clubs to come on board with us as we raise our game and apply to the FA for its backing. “When this is achieved there would be the option for automatic promotion and relegation to and from the Lincolnshire League and a number of other incentives for the county’s clubs. First the league needs a commitment from clubs in the county, particularly those who have achieved, or are planning for, charter standard status.